The recent earthquake in Nepal affected everyone. Lives were lost. Homes were destroyed. Hopes were shattered. People were devastated. It’s time to help the people of Nepal and now you can make a difference. With 100copies. 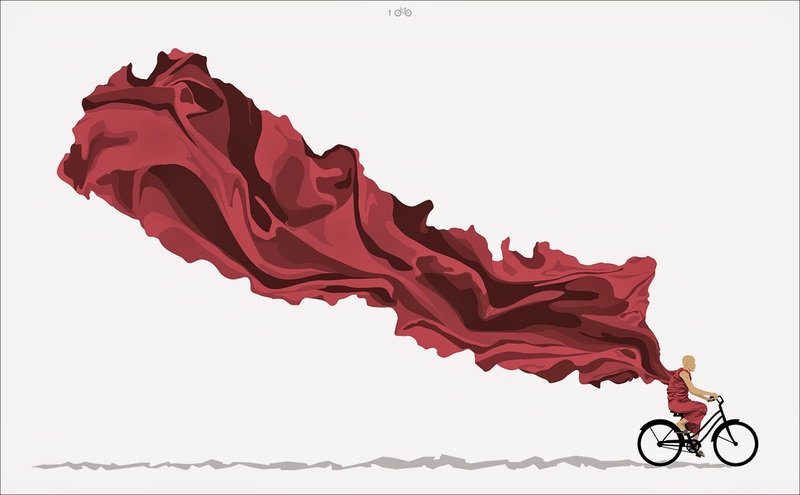 With the latest "Ride On, Nepal" print. Thank you to your great effort and support. 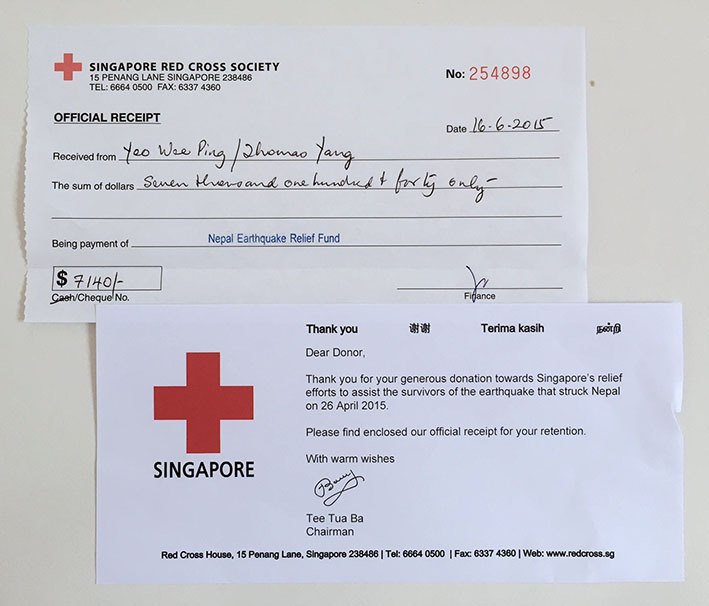 Our fundraising for the Red Cross Nepal Earthquake Relief humanitarian efforts in Nepal has closed. We are proud to announce that together we have sold 100 copies of posters and have raised a total of $$6000. Print Quality: Offset Lithographic Printing using 3 Pantone spot colors. Printed on 220gsm Maple Bright paper. Suitable for archival use. Printed by our kind sponsors A&D PrintHub and RJ Paper for supplying the papers.